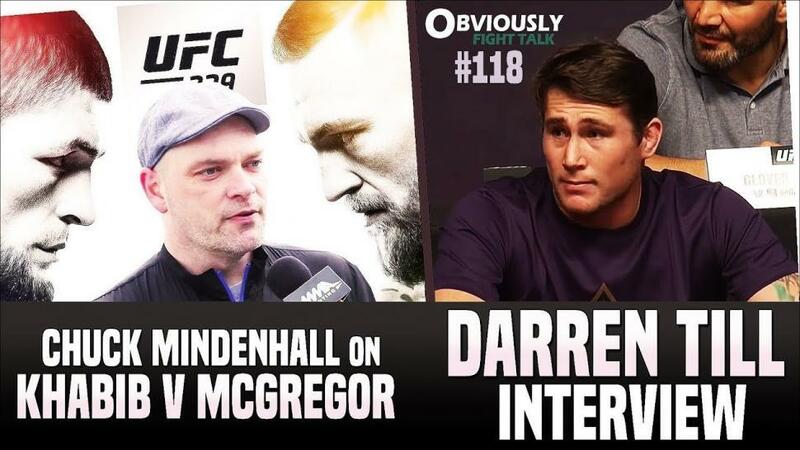 UFC welterweight Darren Till joins Obviously Fight Talk for an exclusive interview ahead of his UFC 228 welterweight title challenge against Tyron Woodley. Till addresses the criticism he’s received for his ‘legacy’ comments surrounding his pregnant girlfriend and daughter; explains why he’s a challenge for Tyron Woodley, answers what kind of welterweight champion he will be, and talks Nate Diaz, Conor McGregor and Khabib Nurmagomedov. McGregor vs Khabib was officially announced for UFC 229 at the UFC 25 Years Press Conference, so we HAD to talk about it. MMA Fighting’s Chuck Mindenhall, also known for his work on The MMA Beat & The Ringer, joined to discuss the fight. Chuck also gave his thoughts on Diaz vs Poirier; UFC 227’s big winners; extreme weight-cutting; and life at MMAFighting.com after Ariel Helwani. Rob & Noel also gave their take on the McGregor vs Khabib announcement and all the other big MMA news stories this week including Dana White saying Eddie Alvarez could leave the UFC and that Ben Askren is welcome in the UFC if his ONE FC contract is dealt with; James Gallagher’s Bellator 204 fight, and more. PLUS! A UFC 227 results and recap segment.